Think you can just go around, dropping smooth 90's style rap flows? Think again there buster! MC Hammer knew better than that. When he jumped onto the stage, he made sure that he was wearing a set of parachute pants so shiny, he had to wear a set of sunglasses just to continue dancing and rapping. That's how he managed to get so far in the rap game. Now, what's your plan? These pants have a throwback style that should give you that extra style to drive the crowd wild. 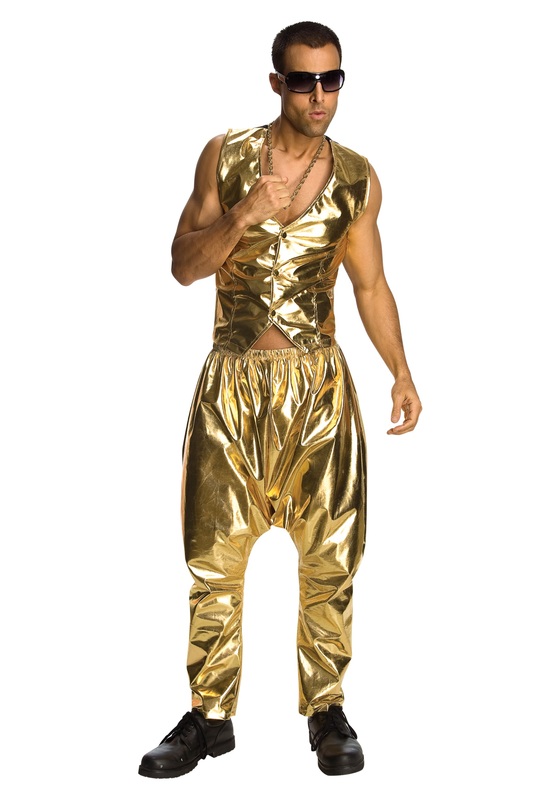 They're shiny, have a generous, baggy fit and are pretty much guaranteed to make you feel like doing the MC Hammer shimmy across the stage. Just make sure you're prepared to bust a few rhymes, since anyone who wears these pants will be expected to have some sweet lyrical skills.